Today, the role that the space should play to resolve the global issues is increasing. In the midst of issues, such as Energy, Climate change, Environment, Food shortage, Large-scale nature disaster, etc. being actualized, which are very severe to be resolved by one nation, foreign countries are actively promoting utilization of the space system consisting of the satellites, etc. with the features covering “Widespread area”, “Broadcastability” and “Resilient to disasters”. On the other hand, the risks of hampering the stable use of space are getting worse. While the countries enjoying benefits from the economic society and security with the utilization of the space are increasing, the number of space debris surges with increase of the satellites including small satellites in the space. Those issues are serious concerns for the stable utilization of the space for the all of the world. Increasing harshness of the security environment surrounding our country, “National Security Strategy” was formulated in December, 2013 as a key principle of the national security in order to set a course that our nation should steer in the international society with a long-term perspective of our national interests. 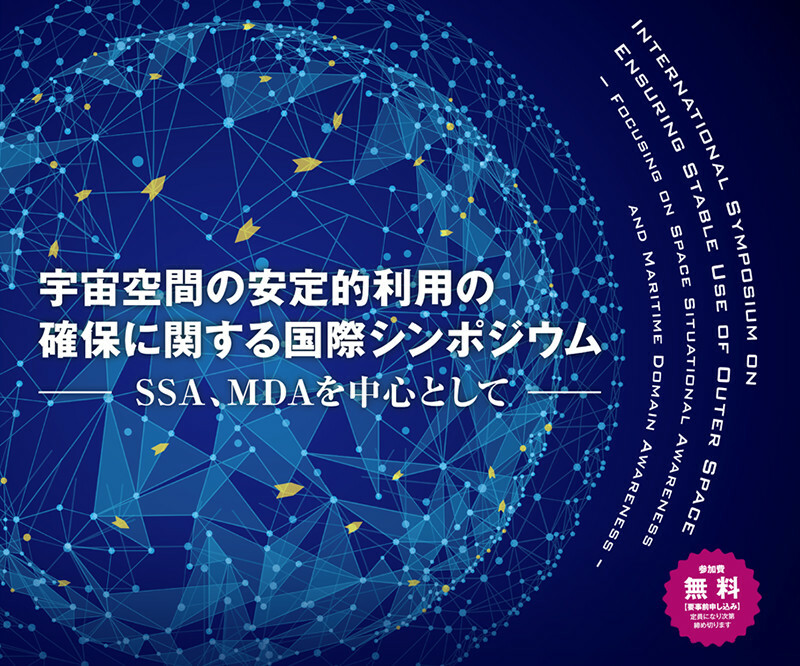 Based on this, our nation is to establish the system of the Space Situational Awareness (SSA) with effective utilization of various satellites possessed by our nation, etc., in the fields of troops operations of the Japan Self-Defense Forces, Information collection and its analysis, Maritime Domain Awareness (MDA), Information-Communication and Measurements. In order the government to promote the space development and utilization, maintain and develop the technologies supporting the mentioned-above, they shall be considered to contribute the national security in mid-and long term. Under the circumstances, our nation needs to respond properly to the risks hampering the stable utilization of the space by cooperating with the foreign countries, as indicated in the Basic Plan for Space Policy approved by the Japanese cabinet in April, 2016. The purpose of this symposium is to contribute to the effective and efficient space policy of our nation concerned with secure of the stable utilization of the space.